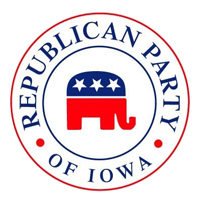 Senator Grassley has earned a reputation in Iowa for keeping in touch with the people he represents and in Washington for standing up for common sense and holding government accountable. Chuck Grassley does his job with a work ethic that can be traced to the Butler County farm where he grew up and still lives today, and to his days as a young father of five who worked three jobs. Today, Senator Grassley holds the record for the longest record of not missing a vote of any senator in office, showing respect for the public trust he holds. Senator Grassley also has conducted at least one meeting in each of Iowa’s 99 counties every year that he’s served in the United States Senate, to encourage participation in the process of representative government. 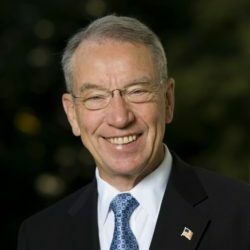 Grassley stays connected by responding to every phone call, letter and email from Iowans, and by communicating with Iowans extensively online via Facebook, Twitter and his own website, as well. In Washington, Senator Grassley has been a leader in shaping legislation to improve the quality of life for Americans and to expand the economic opportunities for individuals, families and communities. Grassley serves as Chairman of the Senate Committee on the Judiciary, where he works for a competitive marketplace with antitrust enforcement and tort reform, to reward innovation and invention with an updated patent system, and for legal immigration that will help America’s economy grow. Grassley has led a campaign to open up the federal judiciary by allowing cameras in courtrooms, and he is unmatched in his legislative and oversight work to protect whistleblowers, both in and out of government, who speak up about wrongdoing for the public good. Grassley is an advocate for victims of crime and a leader in the fight to keep illegal drugs out of the hands of young people. He leads efforts to safeguard America’s freedom with effective anti-terrorism and domestic security policies. Previously, as Chairman of the Committee on Finance, Senator Grassley led through Congress $2 trillion in tax cuts, leaving more money in workers’ pockets, making the tax code more progressive, and spurring economic growth and activity. Grassley is an outspoken advocate for free trade agreements that expand opportunities for job-creating U.S. exports in manufacturing and agriculture. He’s a leader in the development of wind, solar, biodiesel, biomass and ethanol as domestic, renewable energy sources to help fuel America’s future. Senator Grassley authored the Senate bill that created the Medicare prescription drug benefit, bringing the program up-to-date with the practice of medicine and better enabling treatment outside of expensive hospital stays. He’s a leading advocate to improve the foster care system and help more kids find permanent, loving homes through adoption. Grassley also serves as a senior member of the Senate Committee on the Budget, where he applies his personal frugality to the public purse, and on the Senate Committee on Agriculture, where he brings real-life experience as a family farmer to farm policy. Along with legislation, Senator Grassley commits tremendous time and energy to congressional oversight. He works to shed light on the federal bureaucracy. He champions transparency when it comes to the people’s business. Whistleblower laws authored by Senator Grassley are the federal government’s no. 1 anti-fraud tool. Thanks to Grassley’s ongoing legislative victories to protect whistleblowers, taxpayers have gotten back more than $28 billion that would otherwise have been lost to fraud. Grassley’s congressional oversight holds accountable those who do business on the taxpayers’ tab. He’s leading efforts to make sure the Securities and Exchange Commission protects investors and America’s financial system. He weeds out fraudulent schemes that bilk billions of dollars from the Medicare program and rides herd on Medicare and Medicaid officials to ensure quality care in nursing homes and program accountability for both taxpayers and beneficiaries. He exposes federal farm payments made to deceased farmers and exorbitant payment mismanagement and oversight at the Pentagon. Grassley also led efforts to oversee the unprecedented taxpayer-backed bailouts. It was Chuck Grassley who figured out that the now infamous claim by the Treasury Department and GM that a multi-billion dollar taxpayer loan that had been paid back in full and ahead of schedule was nothing more than a shell game being played with taxpayer dollars.Grassley’s pursuit of accountability has crisscrossed virtually every federal agency. When a federal law enforcement agent on the Southwest border was killed on the job, Chuck Grassley demanded information and accountability from the Bureau of Tobacco, Alcohol, Firearms and Explosives about its high-risk program, which allowed guns into the hands of the illegal aliens shooting at our agents. Grassley has called attention to the FDA’s approval of potentially unsafe foreign-made medical devices and refereed turf wars between federal agencies that compromise U.S. border security. He’s examined abusive practices by tax-advantaged non-profits and shut down offshore tax shelters exploited by corporate elites. Chuck Grassley’s time-tested blend of pragmatism and integrity gives him a license simply to tell it like it is. He brings a refreshing, no-nonsense style that displaces Washington nonsense with Midwestern substance. Chuck Grassley served in the Iowa legislature and the U.S. House of Representatives before winning election to the Senate for the first time in 1980. Grassley’s creed of ethics and accountability gives Iowans strong and effective leadership.